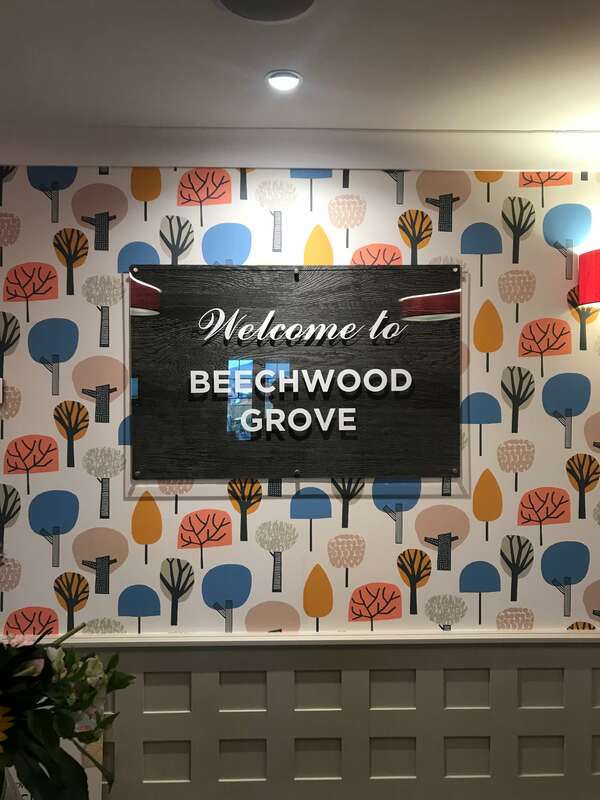 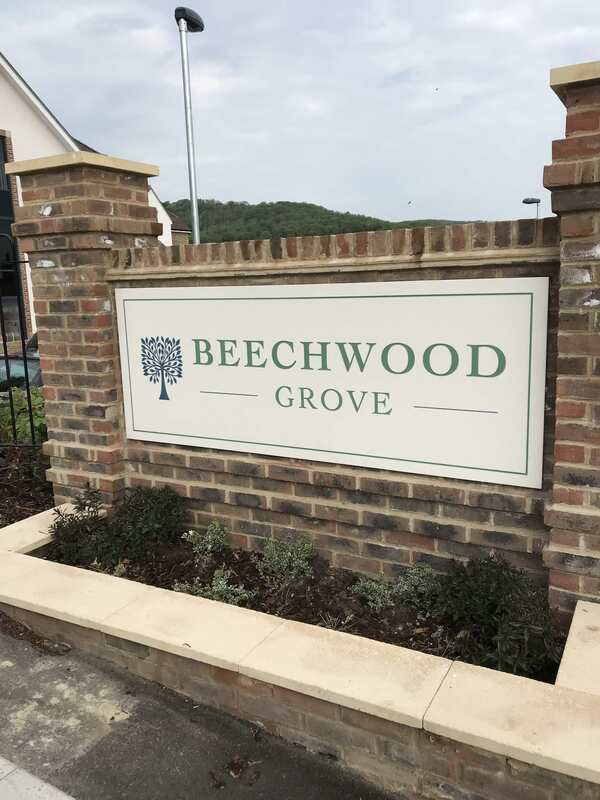 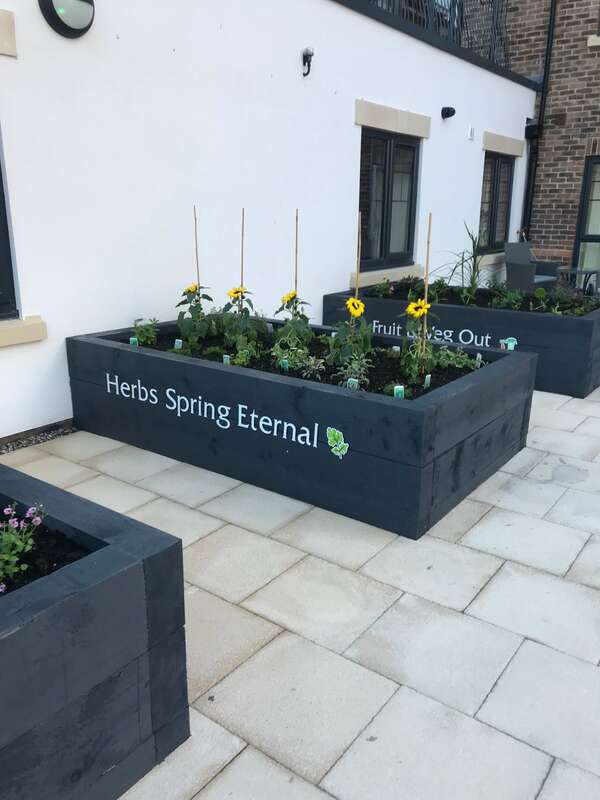 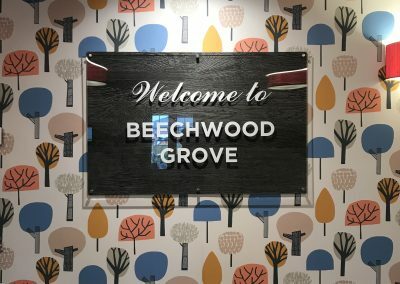 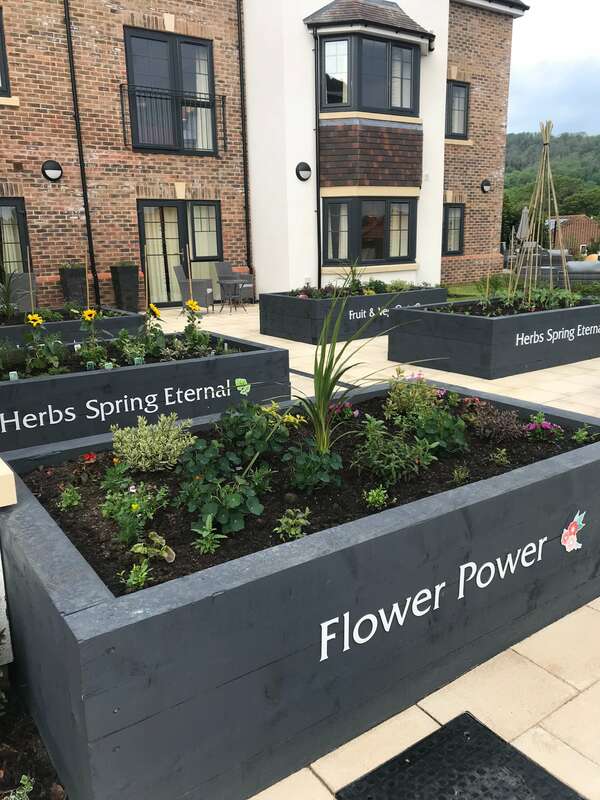 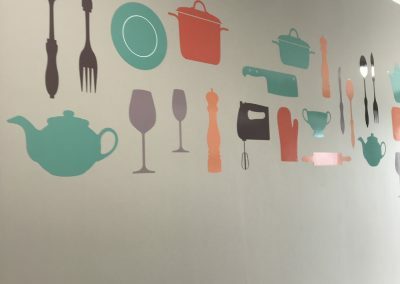 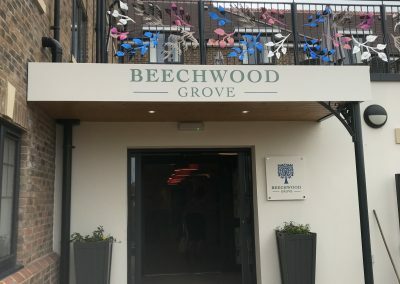 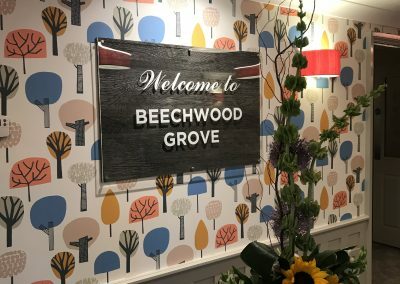 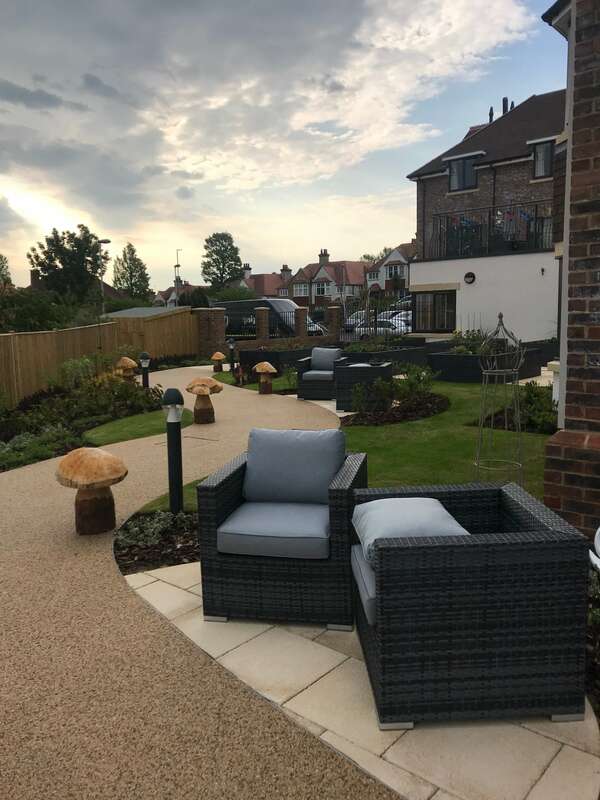 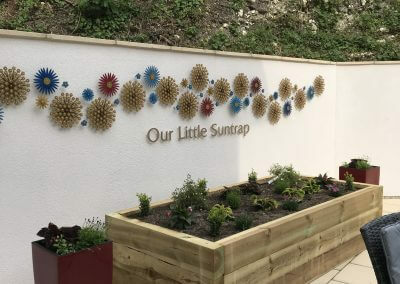 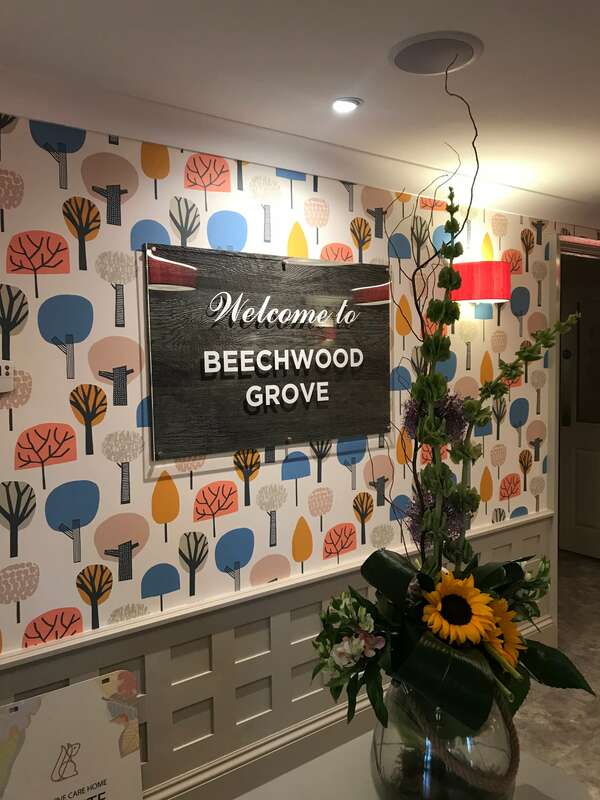 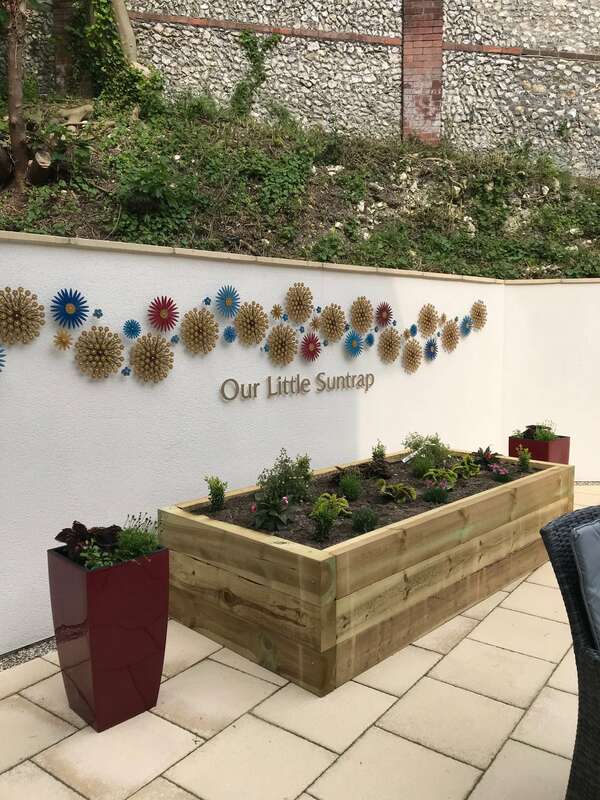 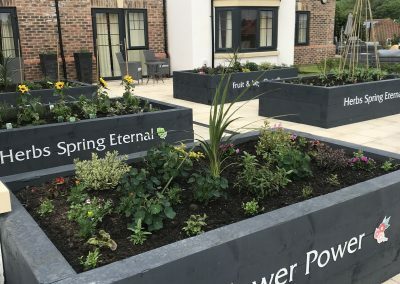 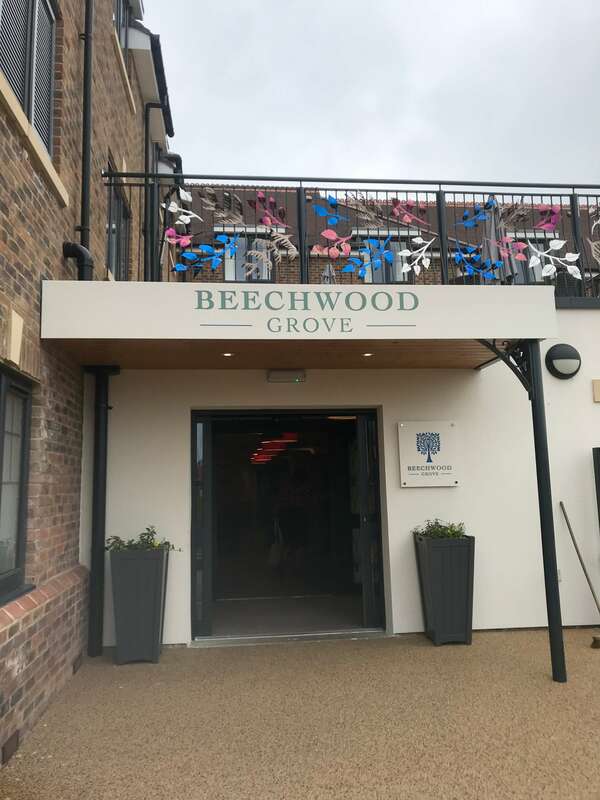 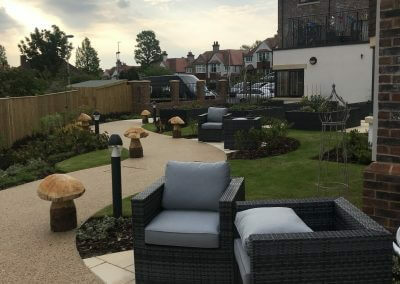 Luxury care provider Oakland Primecare appointed Taylor & Pickles to design, manufacture and install all signage and graphics at their latest new build care home, Beechwood Grove. 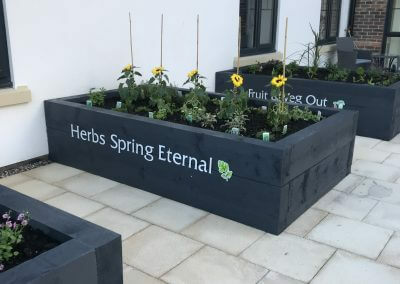 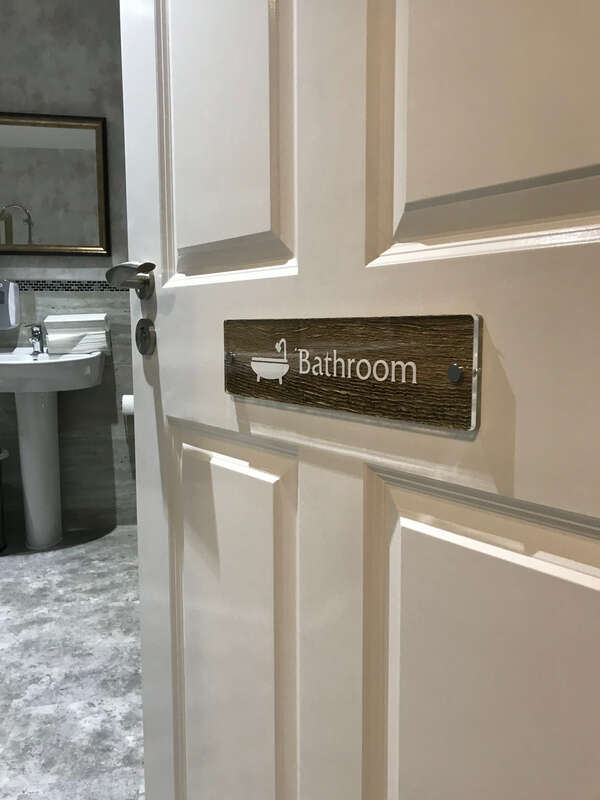 Located in Eastbourne, Sussex, Taylor & Pickles were tasked with bringing Oakland’s design ideas to life whilst emulating the home’s superior living ethos through expertly designed signage of the highest quality. 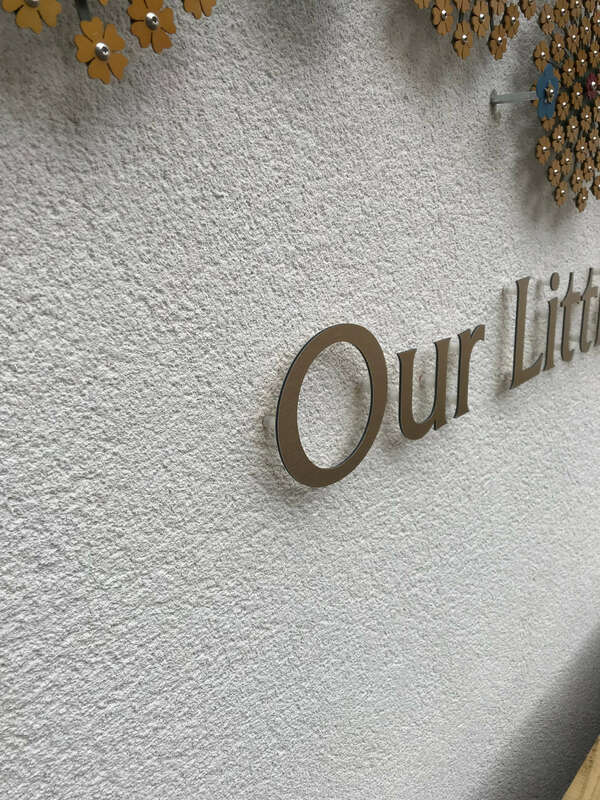 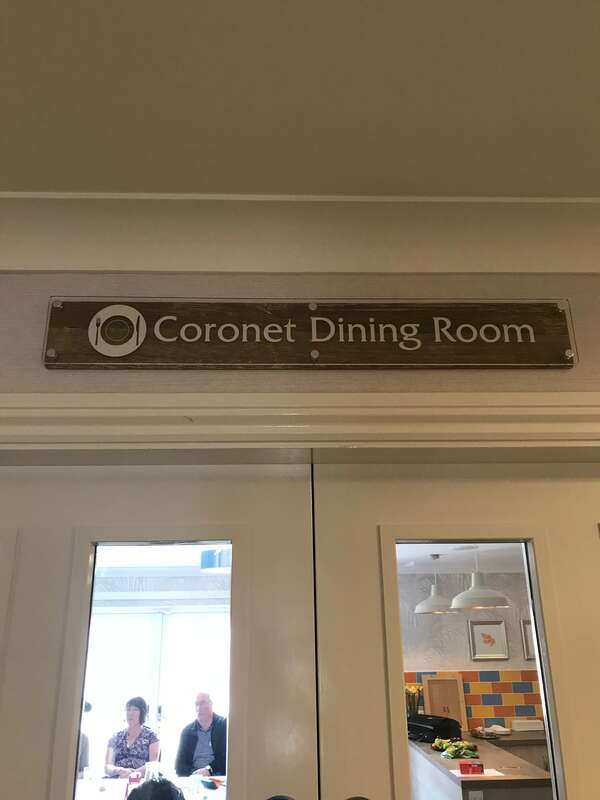 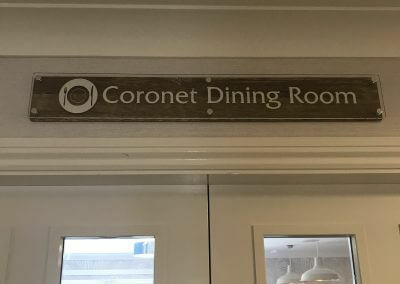 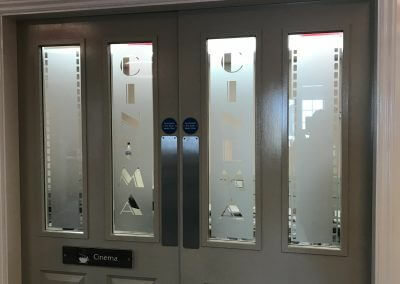 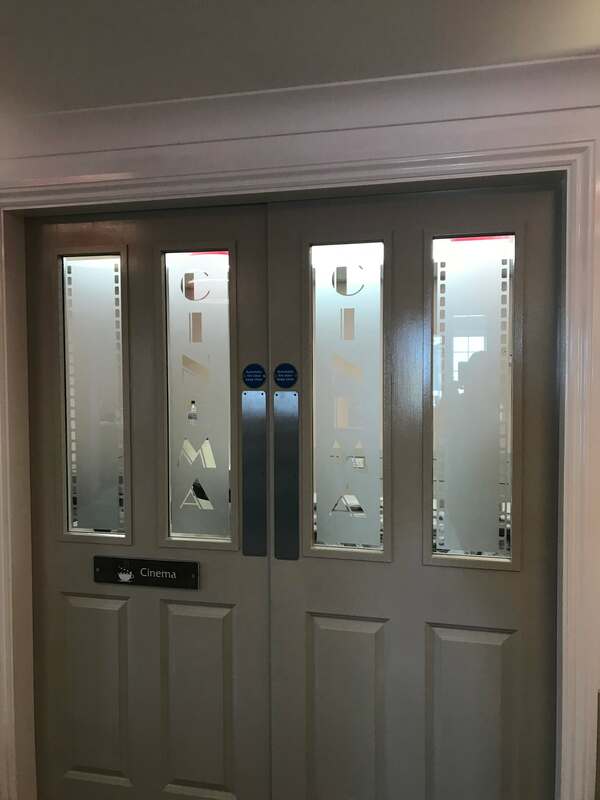 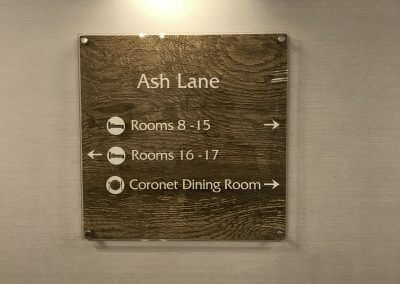 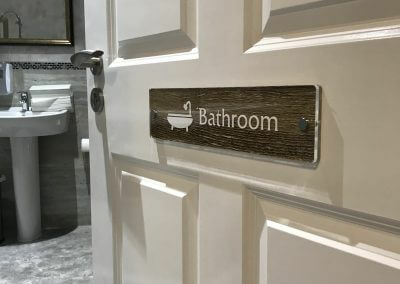 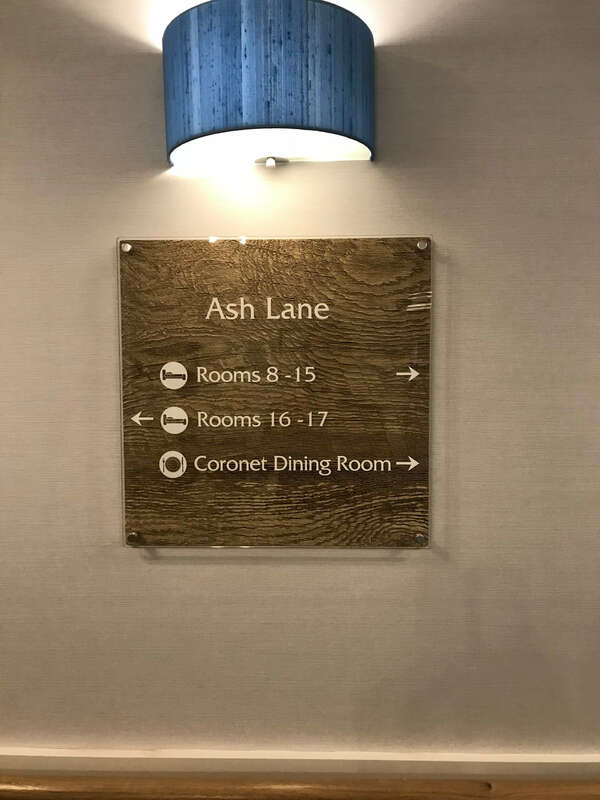 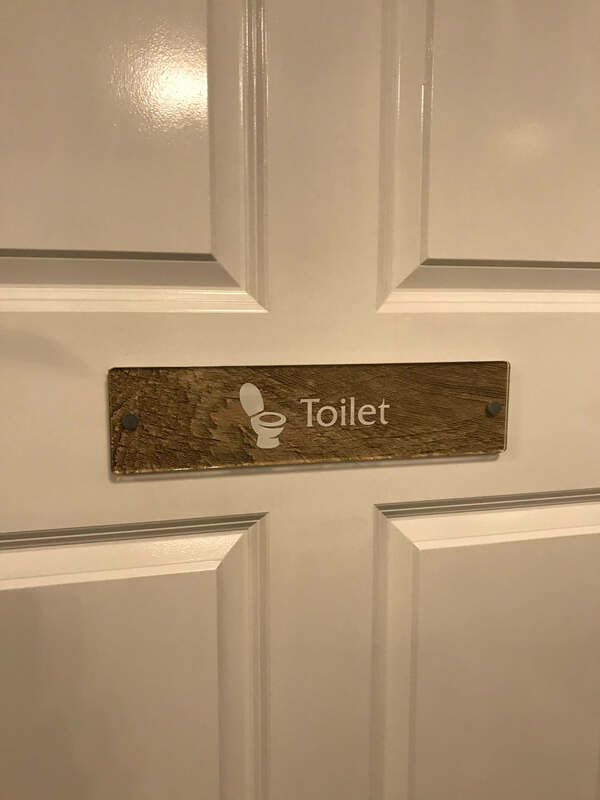 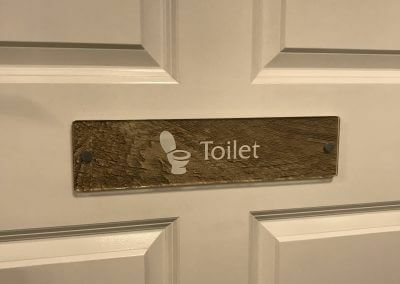 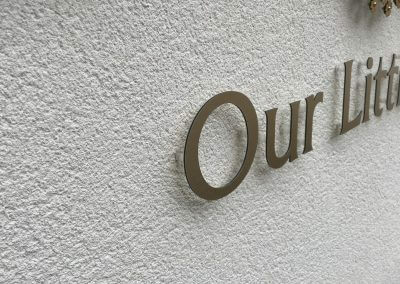 This included engraved Corian external signs and internal signs manufactured from two layered clear acrylic with a textured wood grain background. 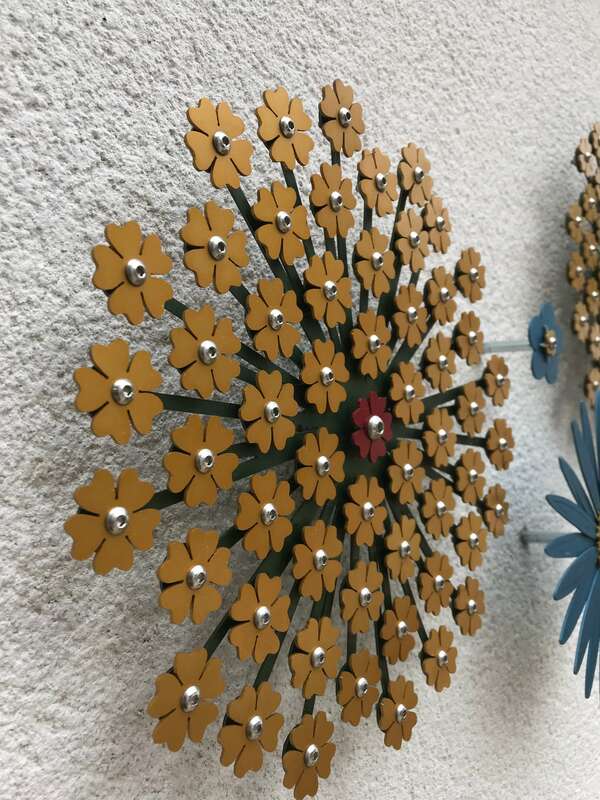 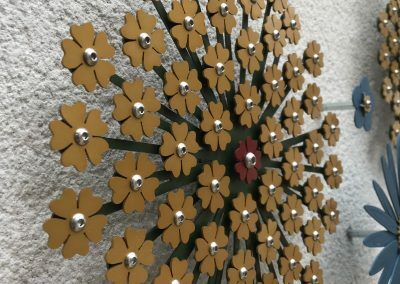 The front layer is stood off using brushed stainless-steel fixings and the end result is a unique, eye-catching yet functional design. 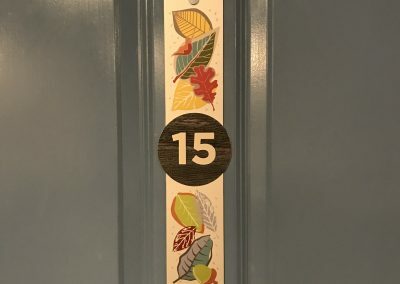 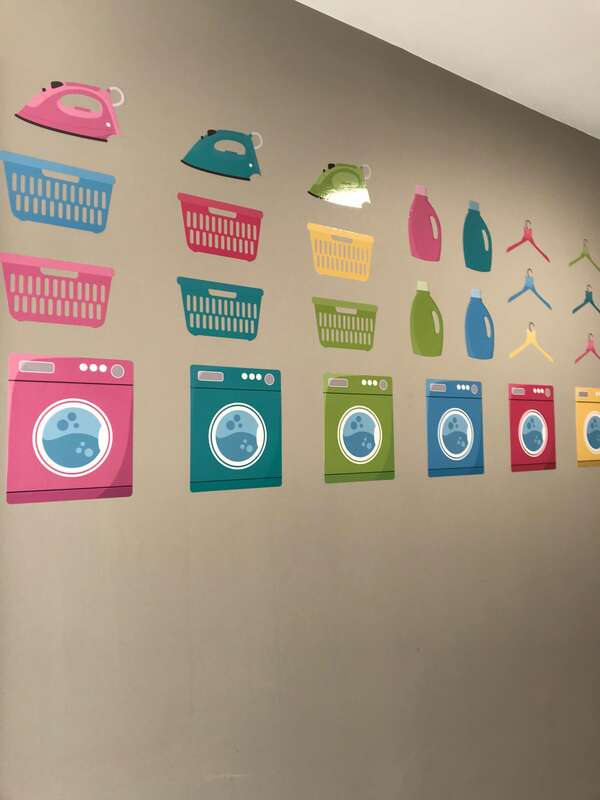 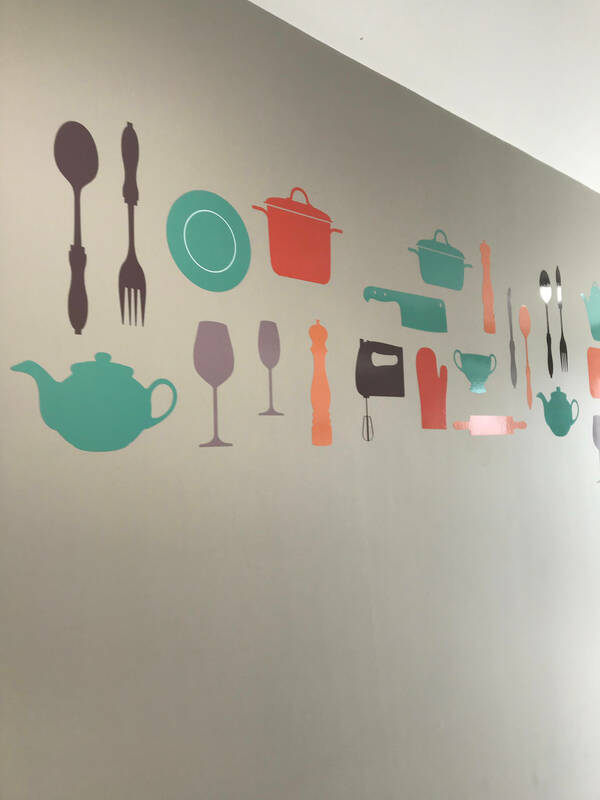 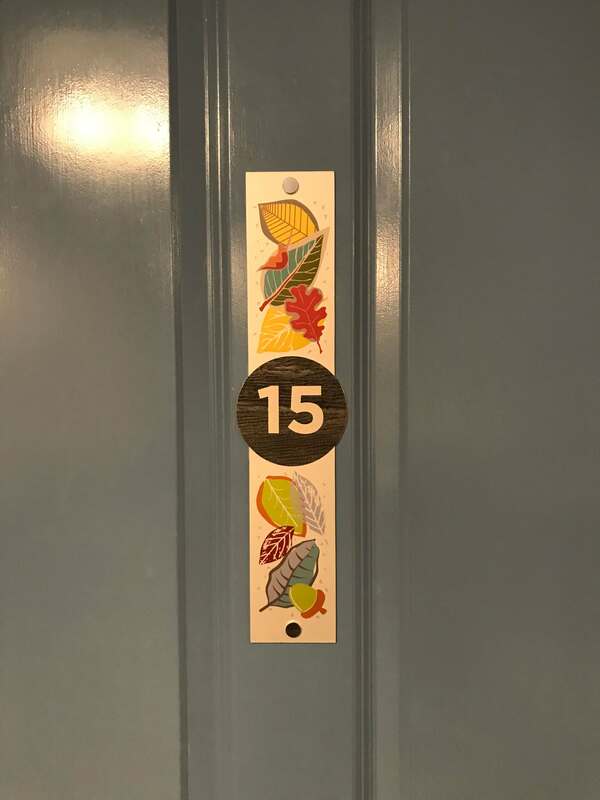 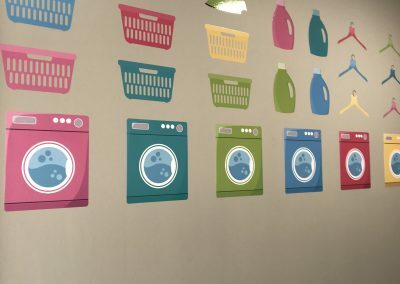 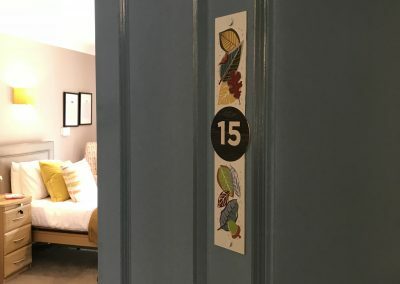 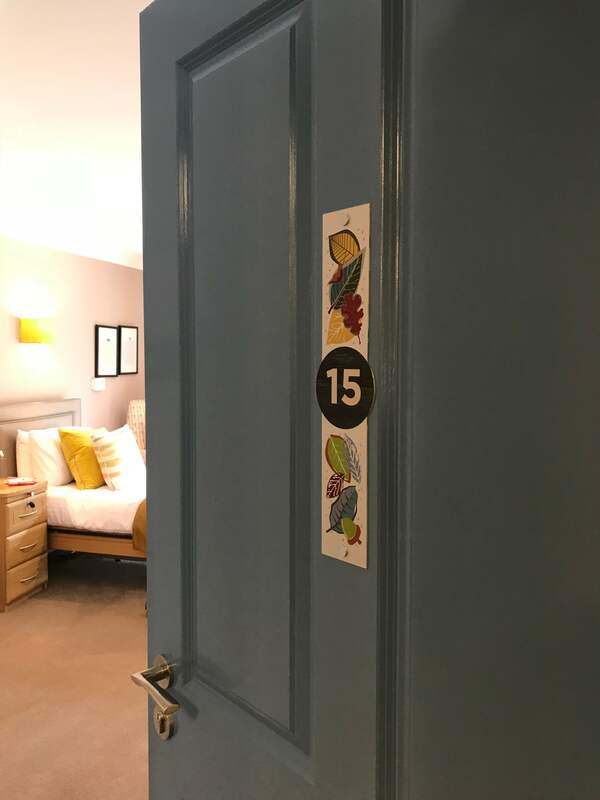 The wall and window graphics combine bright and bold colours to reflect the welcoming atmosphere whilst the bedroom door signs are sub surface printed aluminium which incorporate the woodland theme that runs throughout the home. 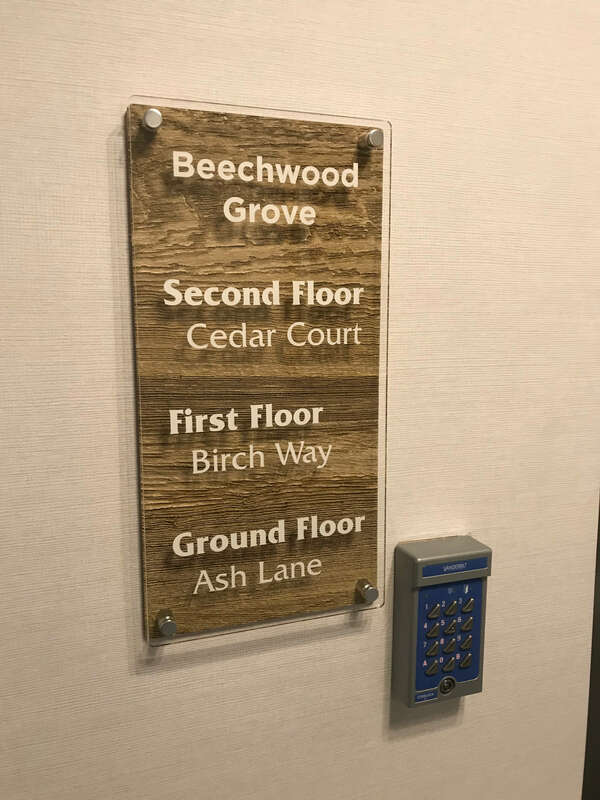 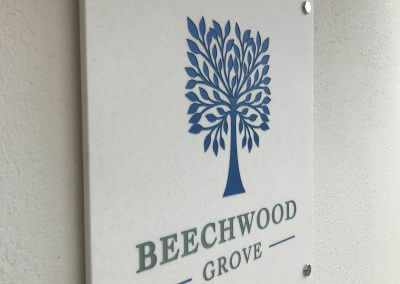 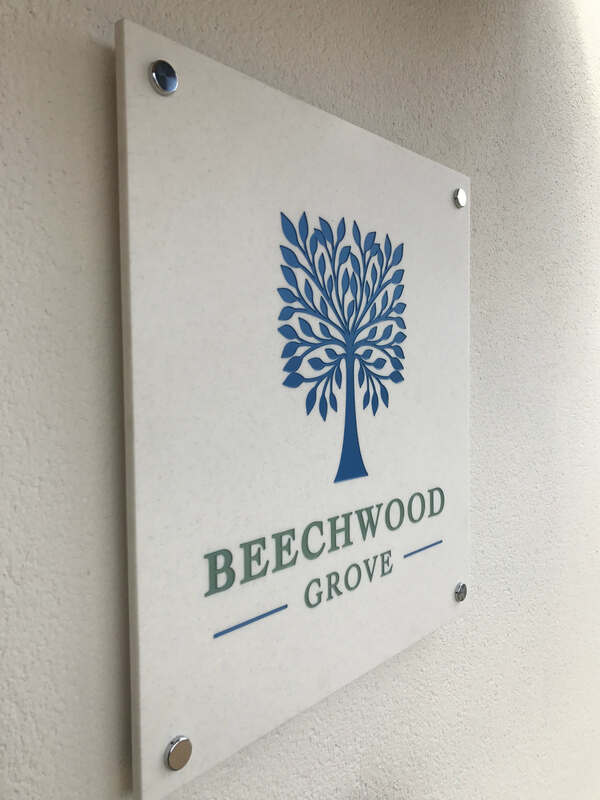 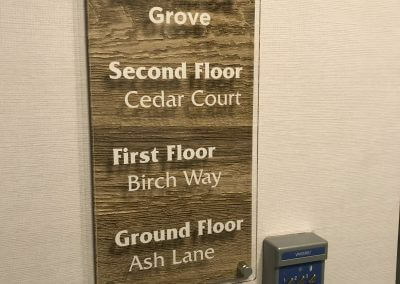 The impeccable attention to detail in all aspects of signage enhances Beechwood Groove’s five-star environment, creating beautiful, welcoming spaces at this stunning home.